What should our Health Aim be? We should all be aiming to acquire a lifestyle that will protect us and lower the risk of being hit by preventable diseases. In order to understand what this involves, it will help if you have some understanding and appreciation of how this risk can be minimized whilst receiving some insight in to the internal workings & needs of your body. What are some of the issues that occur if I carry too much Fat? And we could go on & on. Should I start a walking program to help lose weight? The interesting and even disturbing advice often given to obese people is “Start Walking!” We have a problem with this advice because in most cases the obese person lacks quality of muscle and connective tissues to protect the hip joints, knees and the ankles from the jarring that walking creates on those joints. The advantage in starting to walk a few times a week seems to be a positive mental plus. The person who overeats tend to be more restrained, possibly by a message from the brain telling him that he should take advantage of the positive aspects of walking and it would be a real pity – and harmful - to continue gorging themselves, which would kill or hamper the good intentions and the energy burn provided by the walking. Is physical activity a MUST in order to lose weight? There is an abundance of scientific research to substantiate the importance of physical activity in the achievement of dynamic health and in the prevention of a variety of diseases such as high blood pressure, adult on-set diabetes, obesity, coronary heart disease, low back pain and osteoporosis. Therefore, health-related goals should include achieving appropriate levels of aerobic fitness, body fat (as against total body weight), muscular strength and endurance, and an appreciation of the functions and advantages of a strong and flexible CORE* group of muscles and how to make the maximum use of them in your everyday life. *The CORE: In simple terms, the major muscles which are included in what is now more & more commonly referred to as the CORE, are the abdominal muscles, lower spine muscles, the diaphragm and the gluteus muscles. The core is recognized as the essential ingredient to put the body into motion, and is especially important in sport so as to obtain the most full-body functional movement, good posture, balance and power. In all, the human anatomy is built to take force upon the bones and through various joints. The core muscles, together with the hamstrings and quadriceps, protect and cushion the joints against any impact. Let us start with TOTAL BODY FAT. What does it mean and why is it important? Body Fat, layered under the skin and packed around organs, cushions the body against injury, insulates it from cold and supplies calories to meet your energy needs. The body has a self-protective mechanism that stores fat if continually supplied with more food than is required for your daily energy consumption. To lose part of this fat reserve and stay inside the recommended range of fat in your body, more calories must be burned (used) than you consume in order to force the body to derive the needed energy from the fat reserves. How much should my TOTAL BODY WATER be in the body? Because water is contained primarily in fat-free tissues - the muscles - the percentage of total body water can vary widely between individuals. Those with a high percent body fat can be as low as 40% total body water, while very lean individuals and athletes can attain 70%. Water is the essential component of all vital fluids and the medium of transport in every biological exchange. During a weight management program, it is essential to prevent an excessive decrease in lean mass – muscle – whilst the aim should be to maintain the required level of hydration through proper exercise and diet. Women with 19% to 26% body fat are approximately 50% total body water, while men with 12% to 18% body fat are approximately 60% total body water. What are FAT CELLS and how are they affected? The quantity of fat cells, once formed, remain with you throughout your natural life. Reducing your caloric intake will reduce or burn excessive fat, which means the fat cells become smaller. The control you have, through diet and exercise, is on the size of the fat cell, not the quantity. The medical and nutritional advice that you receive, should recommend that you be concerned with your percentage of body fat, rather than the total body weight. The recommended ranges are 19% - 26% of body fat for women and 12% - 18% of body fat for men. Does FAT Infiltrate the HEART? When fatty infiltration invades deeply into the heart muscle (myocardium), it could interfere with normal contraction of the ventricles. Fatty deposits on the surface of the heart (epicardium) are common in obese people. To reduce the risks of fatty myocardium occurring, a reduction of body fat is recommended for persons excessively overweight. What is FAT FREE MASS? Fat Free Mass or Lean Mass is the portion of the body consisting mainly of bones, muscles, organs and fluids. The lean to fat ratio is the indicator of the proportion between lean and fat in the body and is an accurate and convenient index to monitor your body composition. Strokes are usually a result of an excessively overweight condition (carrying excess fat). Paralysis, speech impairment and death can be the result of having had a stroke. Chances of a stroke occurring are reduced dramatically when your percent of body fat is within the recommended ranges (19% - 26% body fat for females and 12% - 18% body fat for males). Many “slim” people may also be carrying excess fat which may not be noticeable. 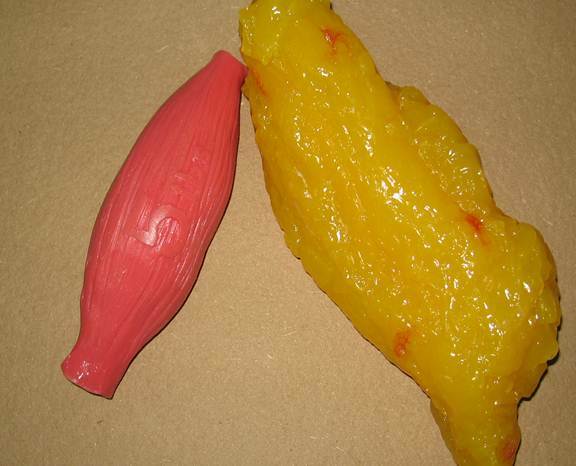 Their problem is that no have very little muscle mass in relation to their overall weight. The Basal Metabolic Rate (or BMR) is the minimal rate of energy expenditure compatible with life. In other words, it is the minimum amount of energy (expressed in number of calories) our body needs to stay alive at rest. Your body uses energy all the time. You could be lying down, resting, doing ''nothing,'' yet every cell in your body is using energy to keep you alive. Knowing the minimum amount of calories you should consume on a daily basis will help towards any overall weight or fat loss goals you may have. What is RESTING ENERGY EXPENDITURE? The Resting Energy Expenditure or REE is the energy needed to maintain vital body processes such as breathing, food digestion, blood circulation, and sufficient energy for sedentary activities. Your REE increases with weight and height and decreases with age. Men usually have a higher REE than women (except during pregnancy). Stress (secretion of adrenaline), fever, drugs, (such as caffeine and amphetamines) increase REE. So as to measure your daily energy requirements, a formula is used that factors in your so-called activity factor. 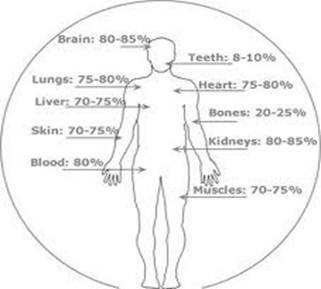 This is essentially a number based on the level of physical activity selected from the alternatives below. The BMR is then multiplied by this activity factor, and the result is your daily energy requirements. What are the generally accepted ACTIVITY LEVELS? Very Light - Sedentary. Limited activity. No structured exercise. Light - Normal daily routine with recreational activities 1 – 3 days per week. Moderate - Participation in exercise program 3 – 5 days a week for 20 to 30 minutes. Heavy - Participation in exercise program more than 5 days/week for 1 hour. Very heavy - Athletic participation in training program for more than 2 hours every day or heavy manual labor (i.e. construction laborer). What is meant by DAILY CALORIC NEEDS? The Daily Caloric Needs is the amount of calories required daily to maintain current body weight and is calculated by adding the Resting Energy Expenditure calories to the calories needed for daily activities. 1,900 = extra active (very hard exercise/sports and physical job). 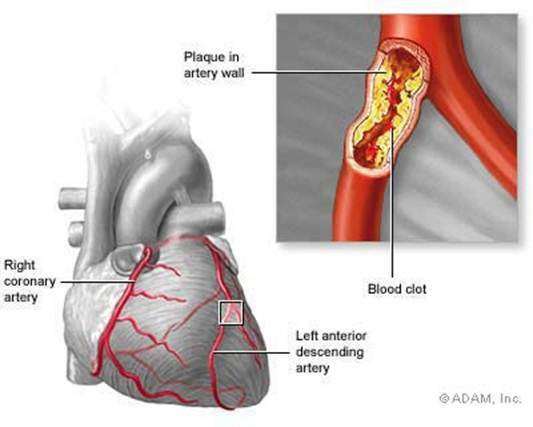 Atherosclerosis is characterized by the thickening of the inner lining of arteries due to the accumulation of fatty deposits (lipid granules). The granules are deposited between the lining layers via the network of small blood vessels that supply large blood vessels (vasa vasorum). A continuing buildup of fat globules, first appearing as fatty streaks, then as calcified plaques, leads to hardening of arteries. The complications which result from this condition are among the leading causes of death. Are the KIDNEYS affected by excess fat? Kidney failure may result when degenerative changes associated with obesity, atherosclerosis and hypertension occur. Excess lipid deposits around the kidneys are usually a result of an overweight condition. Does an excessively overweight condition exert an adverse effect on expected life span? The answer is unequivocally YES! The Framingham Study revealed that mortality rates for nonsmoking men that were 9% over their ideal weight was 3.9 times that of nonsmoking men at desirable weight. The findings for overweight women were similar with clear indications of adverse long-term mortality. There is no indication that there is a “safe” level of being overweight. Nor is there an indication that weight gain in middle age is “healthful” or that “desirable” weight increases with age. Mortality rate increases severely as the degree of obesity increases. Data based on 15 to 39 years of age male and female. Is there a researched connection between CANCER and OBESITY? What is the meaning of THE “POT BELLY” or “OMENTUM”? The “pot belly”, commonly perceived as a protruding stomach, is mostly a result of fat accumulated within the abdominal cavity (known as “omentum” – the membrane in the abdominal cavity that connects and supports internal organs, which is composed of many folds that pass between or around the various organs), and not due to a protruding stomach. A reduction in weight, and particularly your body fat, will significantly help in the fight with “the battle of the bulge”. Obesity is the result of changes of the normal mechanical, physical, and biochemical functions, either caused by a disease, or resulting from an abnormal syndrome (pathophysiological), resulting in a chronic accumulation of excess calories stored in the form of fat. Less than 3% of obesity can be attributed to glandular dysfunction. Almost without exception, the basic reason for an overweight (excess fat) condition is excessive food intake, not being able to chew the food correctly, combined with inadequate physical activity. Digestive System, Water The Vital Nutrient, and the Chewing (mastication) process. What should our “Health Aim” be? In order to understand what this involves, it may help if you have some understanding and appreciation of how this risk can be minimized whilst receiving some insight in to the workings of your body. • And we could go on & on. The interesting and even disturbing advice often given to obese people is “Start Walking!” We have a problem with this advice because in most cases the obese person lacks quality of muscle and connective tissues to protect the hip joints, knees and the ankles from the jarring that walking creates on those joints without the support of healthy muscle and tissue. The advantage in starting to walk a few times a week seems to be the positive mental plus. The person who overeats tends to be more restrained, possibly by a message from the brain telling him to take advantage of the positive aspects of walking and it would be a real pity to continue gorging themselves, which would kill or hamper the good intentions and the energy burn provided by the walking. There is an abundance of scientific research to substantiate the importance of physical activity in the achievement of dynamic health and in the prevention of a variety of diseases such as high blood pressure, adult on-set diabetes, obesity, coronary heart disease, low back pain and osteoporosis. Therefore, health-related goals should include achieving appropriate levels of aerobicfitness, reduction of excess body fats (as against total body weight), increase muscular strength and endurance, and an appreciation of the functions and advantages of a strong and flexible CORE group of muscles and how to make the maximum use of them in your everyday life. The core is a muscular system that provides the force to stabilize and move body segments. The core could be considered as the link between the upper and lower extremities and excludes the shoulders, arms and legs. How much should my TOTAL BODY WATER content be in the body? During a weight management program, it is essential to prevent an excessive decrease in lean mass – muscle – whilst aiming to maintain the required level of hydration through proper exercise and good nutrition. Depending on the climatic conditions in your area and your activity levels, will depend the amount of Water to be consumed. It should never be less than 6 – 8 glasses per day. The medical and nutritional advice that you receive, should recommend that you be concerned with your percentage of body fat, rather than the total body weight.The recommended ranges are 19% - 26% of body fat for women and 12% - 18% of body fat for men. Does or can FAT Infiltrate the HEART? Strokes are usually a result of an excessively overweight condition (carrying excess fat). An apparently slim person can also be carrying excess body fat if their lean to fat ratio reveals too little muscle against an excess of fat. Paralysis, speech impairment and death can be the result of having had a stroke. Chances of a stroke occurring are reduced dramatically when your percent of body fat is within the recommended ranges (19% - 26% body fat for females and 12% - 18% body fat for males). For Women: BMR (REE) = -161 + 10 * (wt) + 6.25 *(ht) – 5 * (age). The Resting Energy Expenditure or REE is the energy needed to maintain vital body processes such as breathing, food digestion, blood circulation, and sufficient energy for sedentary activities. Your REE increases with weight and height and decreases with age. Men usually have a higher REE than women (except during pregnancy). Stress (secretion of adrenaline), fever, drugs, (such as caffeine and amphetamines) can increase REE. Extra Active ……… Very intense daily exercise or sports & physical job or twice daily training. •1.900 = extra active (very hard exercise/sports and physical job). Very Light - Limited activity. No structured exercise. Light - Normal daily routine with recreational activities. Moderate - Participation in exercise program 3 days a week for 20 to 30 minutes. Heavy - Participation in exercise program more than 3 days/week for 1 hour. Very heavy - Athletic participation in training program for more than 2 hours every day or heavy manual labor (i.e.construction laborer). The Daily Caloric Needs is the amount of calories required daily to maintain current body weight and is calculated by adding the Resting Energy Expenditure calories (above) to the calories needed for daily activities. Obesity is the result of changes of the normal mechanical, physical, and biochemical functions, either caused by a disease, or resulting from an abnormal syndrome (pathophysiological), resulting in a chronic accumulation of excess calories stored in the form of fat. Less than 3% of obesity can be attributed to glandular dysfunction. Almost without exception, the basic reason for an overweight (excess fat) condition is excessive food intake (especially bad foods) combined with inadequate physical activity. Refer to the article (link to “Digestive System” and the Chewing(mastication) process).